This baggie, which contains methamphetamine, was found in possession of a suspect being booked into the Cannon County Jail this week. An arrest has been made in connection with a burglary that occurred in Cannon County in January in which over $10,000 worth of items were stolen. Cannon County Sheriff’s Investigator Anthony Young said the burglary occurred on Jan. 6 of this year at a home on Basham Ridge Road in Woodbury. Investigator Young arrested Matthew Allen Baker, 1022 Pine Ridge Road, Smithville, on March 10. “I received information in relation to the theft, and after a thorough investigation, determined Baker was allegedly one of the persons involved in the taking of the items,” Investigator Young said. The case remains under investigation and an additional arrest is expected, Young said. Among the items taken were gold jewelry, guns, knives, a 42-inch flat screen TV, tools, video games and a laptop computer. In addition to charges of aggravated burglary, theft over $10,000 and criminal trespass, Baker incurred additional charges while he was being booked at the Cannon County Jail. Baker was arrested by DeKalb County Sheriff's deputies and transported to Cannon County. During that process, Corrections Officer Albert Summers discovered within Baker’s personal property a black flashlight. Upon opening the flashlight, Summers observed that the batteries had been removed and replaced with a small plastic baggie. 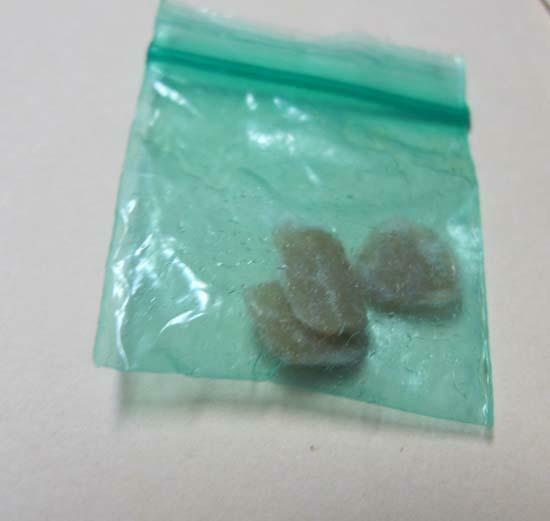 Inside of the baggie was a substance which tested positive for methamphetamine. Additional charges of possession of a Schedule II drug and introducing contraband into a penal institution were levied against Baker. Total bond was set at $30,000. Initial court date is May 3. How can he be charged with introduction of contraband if he didn't know he was going to jail? Wouldn't this just be the officer's fault for not conducting a good enough search? Not that he doesn't need to be charged. Dont attack me here. I'm just curious. If you know you have something illegal and you don't speak up when you get to jail, I say you are fair game to be charged. Lay as much on the criminal as possible. We all know a plea deal will be cut once it gets to court.